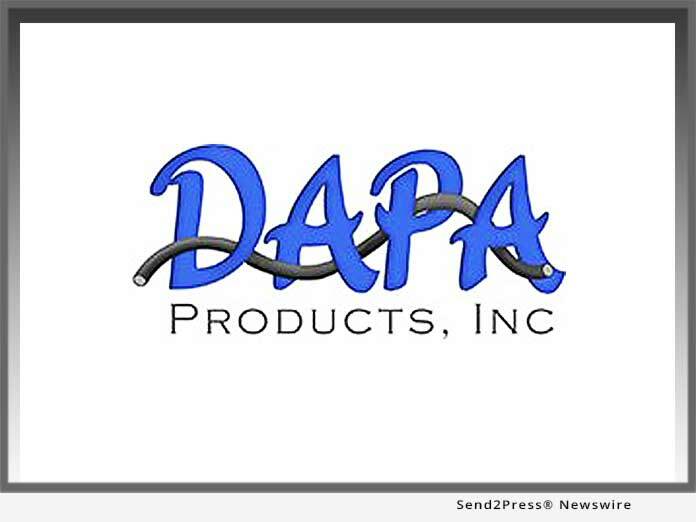 JASPER, Ala., Dec 03, 2018 (SEND2PRESS NEWSWIRE) -- DAPA Products, manufacturer of upholstery and fenestration products, shares ideas on how to take upholstered furniture and furnishings to the next level with welt cords. DAPA Products innovated the industry with the launch of Foam Welt Cord and Foam Screen Spline, which reduced the incidents of carpal tunnel syndrome in workers who installed screen spline in windows and doors. As the market grows, so does their customer base. These ideas are based on the products they've seen in the industry. Whether designing for clients or for the home, the decor that is on display in magazines and local shops typically include custom details that add a touch of luxury and elegance. From the complimentary colored cording running along the edge of drapery, to the same colored cord that frames a pillow, to the cording that adds a touch of class to upholstered furniture. These details make a difference in the value of the product. 1. Use welt cords for pillows to trim and frame them. Creating piping for the edges of pillows takes minimal time and adds all the difference in terms of the way the pillow looks. Piping adds value to the finished product. Contrasting piping and pillow colors can be a statement for the décor. 2. Trim for draperies. Welt cord can be used as trimming for drapes. Instead of sewing on another lace or pom-pom trim, try sewing welt cord to frame the edge of the drapes. 3. Upholstery trim. Add trim to upholstered chairs, sofas, and other furniture with braided welt cord. Piping can add contrasting, complimentary, and symmetrical color combinations to complement or contrast the patterns and colors in the room. 4. Trim headboards. Upholstered headboards have added a modern décor look to these pieces of furniture. Adding trim to a headboard adds visual interest and value. 5. Hotrod and auto upholstery. Touches of trim aren't just for home furnishings. Today's hotrods also benefit from adding welt cords to leather upholstery. The trim is used on the interiors of the vehicles. DAPA Products has a list of the industries they serve with welt cord and other upholstery and fenestration products. Their products are made with virgin raw materials, not scrap, to uphold their commitment to the highest quality products. To learn more and order braided welt cord, and other forms of welt cord online, visit https://www.dapaproducts.com/. DAPA Products is known, not just for the Foam Welt Cord, but the highly demanded Foam Screen Spline, along with many more goods in the window, door, and upholstered furniture industries and braided products for the upholstery furniture industry. DAPA runs several extrusion lines 24 hours a day, 5 days per week. Foam Screen Spline has helped to reduce the stress of screening and now is the favored choice for many major manufacturers. Thanks to the support of our many friends and customers, a small beginning has proved to be highly successful. Foam Welt Cord and Foam Screen Spline are still our main products but we now provide many other products for these markets and several other industries.